Noble Driving School one of the most successful driving school of Alberta, Canada. We are all here for you not only to help you pass the road test but to make you safe, confident and defensive drivers on the road. Browse through our list of services which are designed to fit your needs and get you through this experience with the least expense possible. Noble Driving School is BBB acredited Business. Our vehicle for driving training are Brand new. Our instructors are patient, Reliable, Courteous. Once you graduate with us and pass your first road test, you can drive alone, on the Freeways, down town, adverse driving conditions and at night. Our driving program is a foundation for any student driver to drive defensively on road. With our new Flagship Standard course your loved ones will be in better hands. Our graduate are first choice to insurance industry. They get insurance reduction. PS: This is one time event in life for everyone. A lot of teenagers dream of driving their own cars and eventually going to different places without the need for other people to drive them around. This is not possible though if the person does not know how to drive. This is probably the reason why it is important for teenagers and even adults to enroll at driving schools Edmonton. Choose a driving school that is already known for its good reputation and service. Do not choose the first school that you would see online. It will be a good idea to check out different options first so that you will see the best driving school for you. Do a background check on the school that you would like to sign up with. If you have the time, it might be a good idea to check out the school in person. Once you are satisfied, weigh out all of your option. There are some schools that will allow you to negotiate with them. There are also some schools that offer discounts from time to time. If you are having trouble choosing the best school, you should remember that Noble Driving School is considered to be one of the best driving schools in Edmonton. The school has been around for more than 15 years and has instructors that are qualified and licensed to teach people to drive. 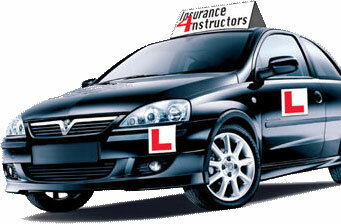 The passing rate is incredible too so you will truly learn the right rules with this driving school.